From start to finish the whole experience was fantastic! Paul couldn’t do enough to help us and we are so happy with our shutters!! If you are thinking of buying shutters for your home than look no further, this is the only place I would recommend and believe me I shopped around!! We had used this company before, based on a recommendation. 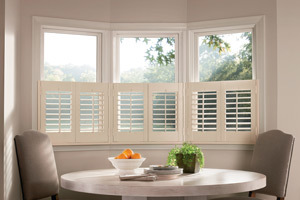 The shutters come from China and they very accurately predicted when they would arrive. A very proffessional fitter called David came and installed our blinds. He even interacted nicely with our two children who are both under four. I rate this company highly and would definitely use them again. Great job. Nice people - honest, tidy, reliable, competitive pricing. Would definitely recommend. 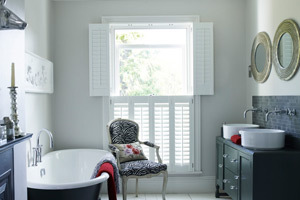 The shutters look fabulous - they have totally transformed the room. A lovely feature. Shutterhome was recommended to us. Phil came to see us and guided us skilfully through all the decisions (he wasn't upselling - most decisions don't affect the price) - and he wasn't pushy or too "salesy". His product knowledge is really impressive. We placed our order and everthing happened exactly as promised. The shutters are fitted perfectly - a really nice job. I will be contacting Shutterhome again in the Summer to fit the rooms downstairs. A really nice company to deal with; a small business where the people genuinely care and take a pride in their work. Amazing Service! Paul and Dawid were great and very knowledgeable. We love our new shutters! We love our new Shutters! Great interaction and consultation. Paul presented us with several options according to what we had in mind. Then Dawid took precise measurements and walked us through the options again to verify and finalise the order. Very pleasant and personable people. We had two other companies quote for this, none of which had taken the time and care we experienced with ShutterHome. Dawid's installation was fast and meticulous and he left both of the rooms pristine. Great experience. Can highly recommend these guys. Excellent service, installation was very neat. Really happy with the overall look. Good service from the initial survey through to the installation. Very happy with finished job. Good looking product. The initial visit was good with well displayed samples. A follow up visit to do accurate measurements. Then the shutters were delivered as per the expected timetable. The fitter was late on the actual fitting day, but he phoned to explain and give a revised eta. He talked me through operating and looking after the shutters. All good. The products are excellent and the fitting was meticulous. Could not have asked for more. 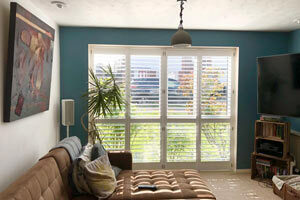 I have ordered shutters twice from ShutterHome and in both cases delighted with the results. The shutters fit perfectly and look stunning - a great asset to our house. Friendly and efficient service. Will be ordering some more this year. Highly recommended.